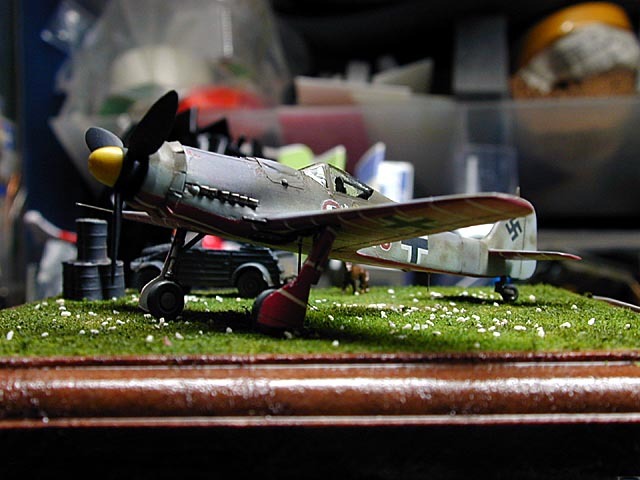 Here are some pictures of my scratchbuilt Focke-Wulf Fw190 D-9. This represents the first time that I have built a model from scratch. 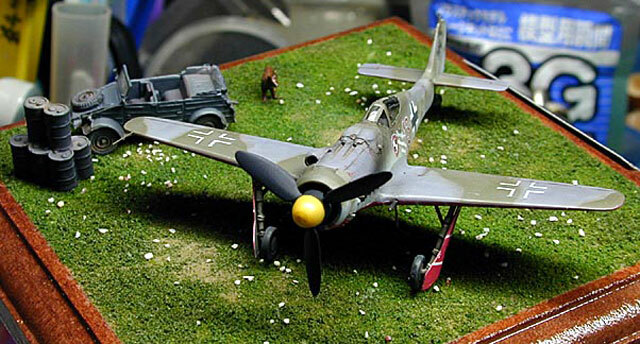 The basis of my construction was the 1/144 scale Fw190A from Eduard. 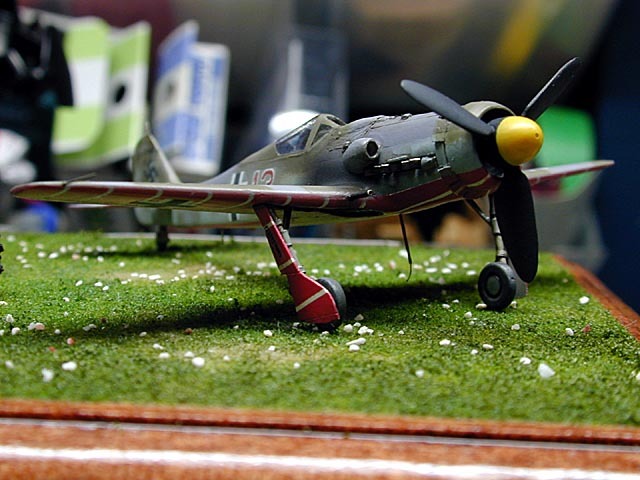 The modifications were fabricated with Evergreen styrene based on Mr. Abe's drawing. 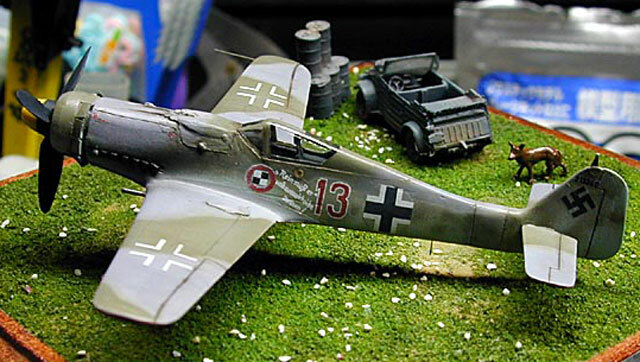 Although the "Dora" is my favorite fighter, and is also a perennial favorite amongst modelers in general, I thought that I would prefer to build it in a unique scale! 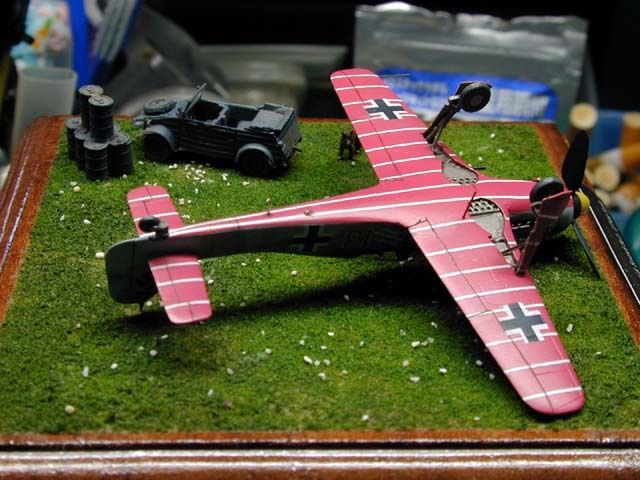 The parts which needed the most work were the extension of the fuselage and the vertical tail. 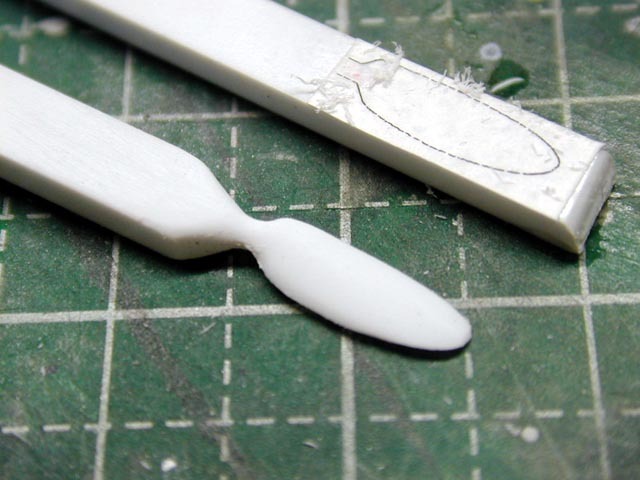 The propeller blades and spinner are shaped from styrene. The canopy is made from vacuum formed clear acetate. 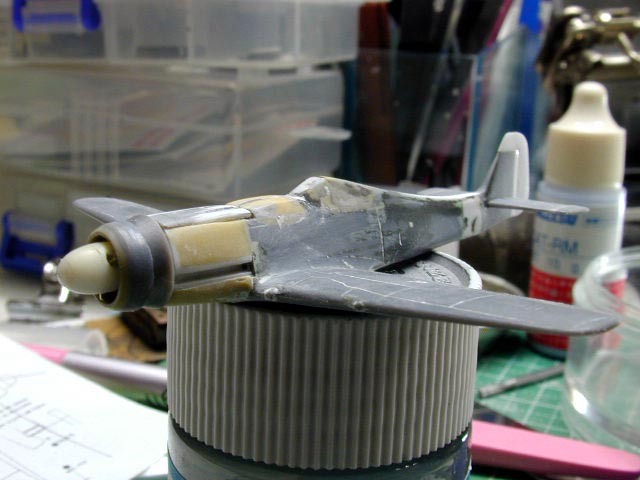 The cowl gun bulges and troughs were made from epoxy putty. 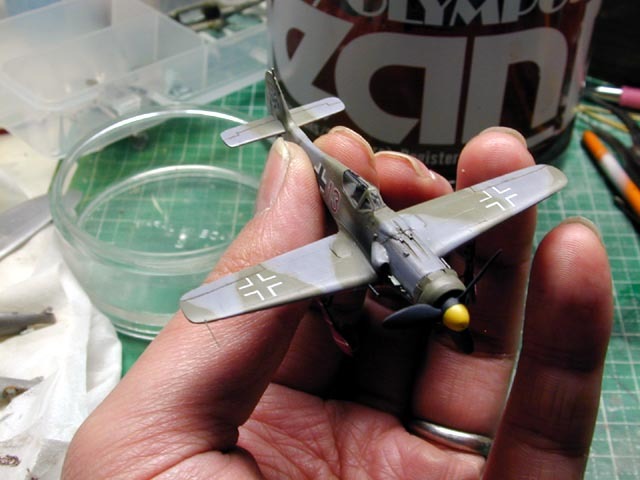 I used the acrylics lacquer paint from Gunze, and also masked and painted the stripe at the bottom. The color scheme was based on a color profile that appeared in JV44 book from Eagle Editions. 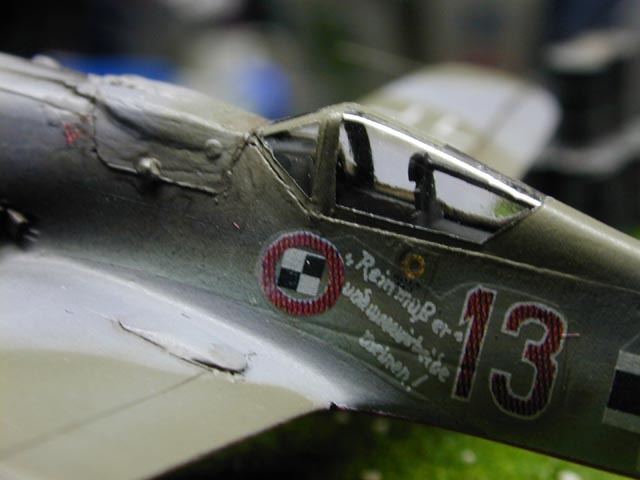 Eagle Cals decal #EC14R was used for reference. The markings were reduced using Adobe Illustrator, and printed with an Alps printer. This was a very useful tool to have!